Before The Blitz, there was The Blaze. 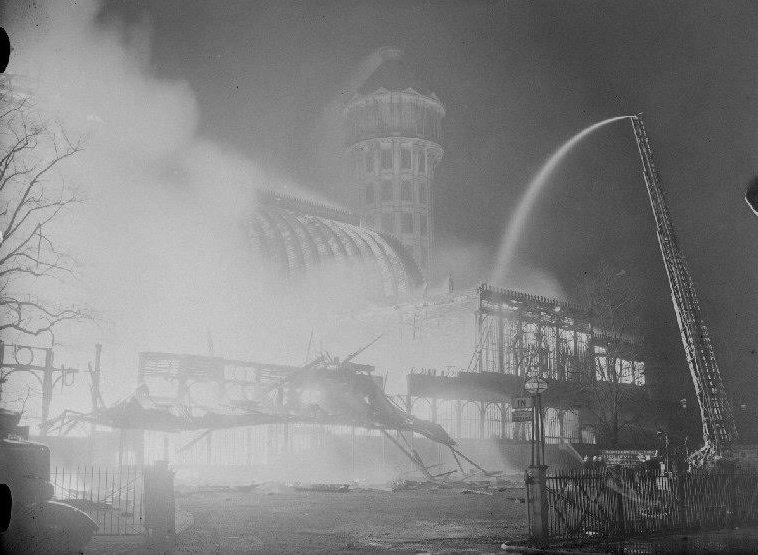 The destruction of the Crystal Palace on 30 November 1936 was the Great Fire of south London — a vast conflagration which could be seen from the city centre, and drew 100,000 horrified spectators from miles around. On Monday night (30 November), on the spot where the tragedy happened, events will commemorate the building that gave the area its name. The Crystal Palace had been a wonder of the Victoria age, built at the behest of Prince Albert for the Great Exhibition of 1851 and later moved, piece by piece, from Hyde Park to one of the highest points of the capital, its presence and reputation prompting artists such as Emile Zola and Camille Pissarro to move to the south London suburb so that they could visit or sketch and paint the attraction on a daily basis. In 1850, a grand committee which included Isambard Kingdom Brunel, Robert Stephenson, Charles Barry, the architect of the Palace of Westminster, the Duke of Buccleuch and chaired by the noted engineer, William Cubitt, had staged an international design competition to find the right building for the exhibition. It had to be inexpensive — it was being paid for by public subscription — temporary and quick to build. Eventually, the committee chose a design by the gardener at Chatsworth House, Joseph Paxton, who offered a gargantuan glass house which was 617 yards long — the length of six football pitches — and 128 feet high, made of wood, cast-iron and a new development — plate-glass. The design covered 990,000 square feet of exhibition space for 14,000 exhibitors to celebrate Great Britain, its rapidly growing Empire, and the Industrial Revolution. The building had the greatest area of glass ever used in a structure at that point, its clear walls and ceilings reducing the need for interior lighting. Such was the success of the Great Exhibition — a precursor in concept for the Festival of Britain a century later, and even the Millennium Dome — that the Crystal Palace (as it had been nicknamed by Punch magazine) was dismantled, re-designed substantially and re-assembled in 1854 on land owned by one of the railway companies (at the time most of the buildings and its parkland surroundings were in the borough of Croydon), and it would remain on that site until that fateful, fiery night in 1936. Less than three years after she had opened the Great Exhibition in Hyde Park, Queen Victoria was taken to deepest south London in 1854 to perform the official opening ceremony of the Crystal Palace. Served by two railway stations, it would stage exhibitions and provide a fashionable attraction for London's rapidly growing middle classes, drawing 40,000 visitors in a day when it was first allowed to open on a Sunday in 1861. But over time, dwindling visitor numbers saw the Palace run-down and in need of repair, before the owners were declared bankrupt in 1911. Crystal Palace was used as a Royal Navy training base in the First World War and as the first home of the Imperial War Museum. New ownership saw it enjoy a revival by the 1930s. The wooden structure had caught fire in the past. But this time, what began as a small office fire quickly caught hold in the high winds of the winter night, and the heat and molten glass made it impossible for the 400 firemen and their 89 fire engines to control, as the glow was seen across the sky over eight counties. Winston Churchill described the loss as "The end of an age." A railway company laid on special trains to bring sightseers to witness Joseph Paxton's great Crystal Palace burn and melt to the ground. 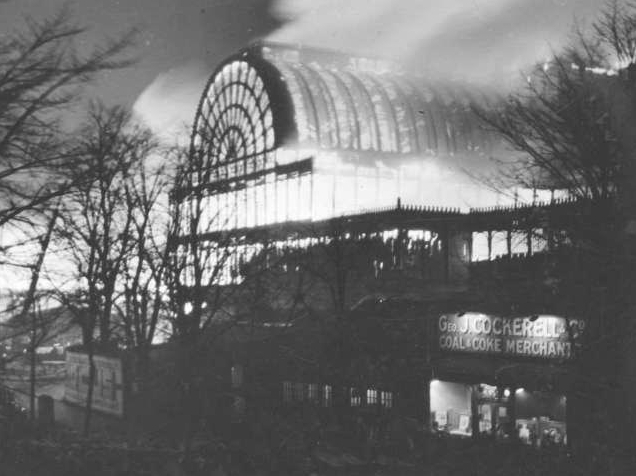 On the 79th anniversary of the great blaze this Monday, the Friends of Crystal Palace Park will be holding a ghost walk on the site led by local historian John Greatrex. All are welcome to join him at 7pm, starting from the Crystal Palace railway station. 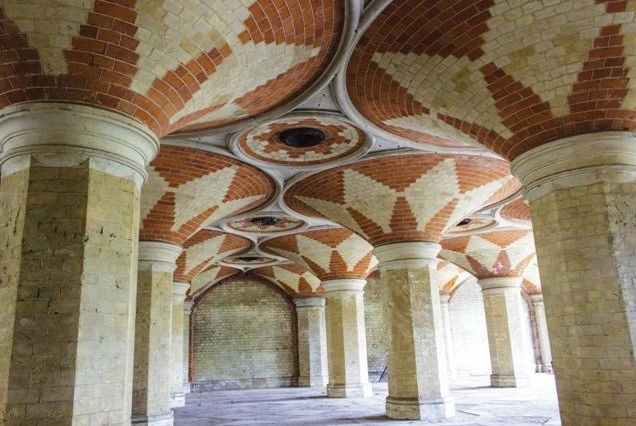 On the same evening, the Friends of the Crystal Palace Subway are screening a documentary at Anerley Town Hall. The doors open at 7.30, and the film starts at 7.45pm. What Remains, the Ruined Subway at Crystal Palace is about the crypt-like structure under the Crystal Palace Parade, which we recently visited. The Subway will be 150 years old on December 23, 2015. The film shows the subway in a new light and shares the stories of local people enchanted by the magical space. The screening is in support of the gate fund for the subway, which its supporters hope to be able to re-open to the public. The admission price of £7 includes a glass of wine. Tickets are available in advance only.